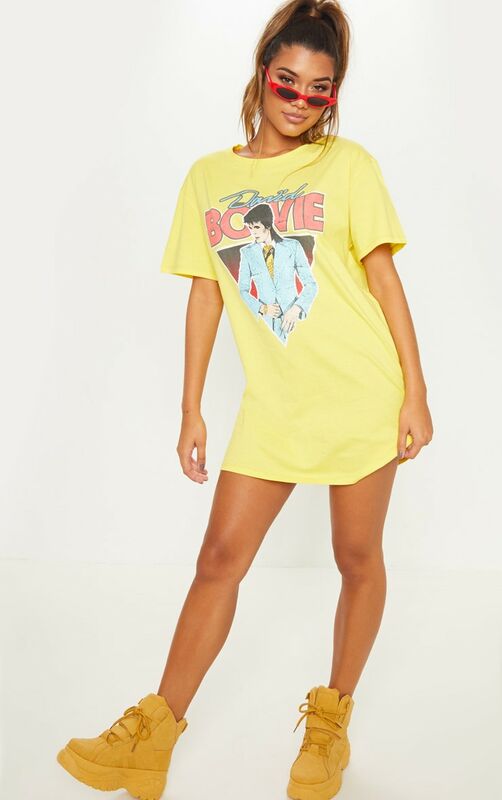 T-shirt dresses are the perfect pick for those off-duty days. 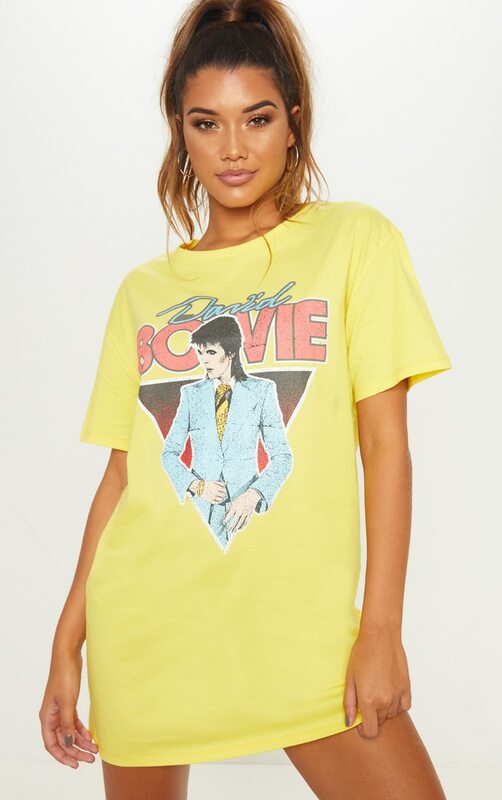 Featuring a washed yellow fabric, oversized fit and David Bowie graphic on the front, you can't go wrong in this. 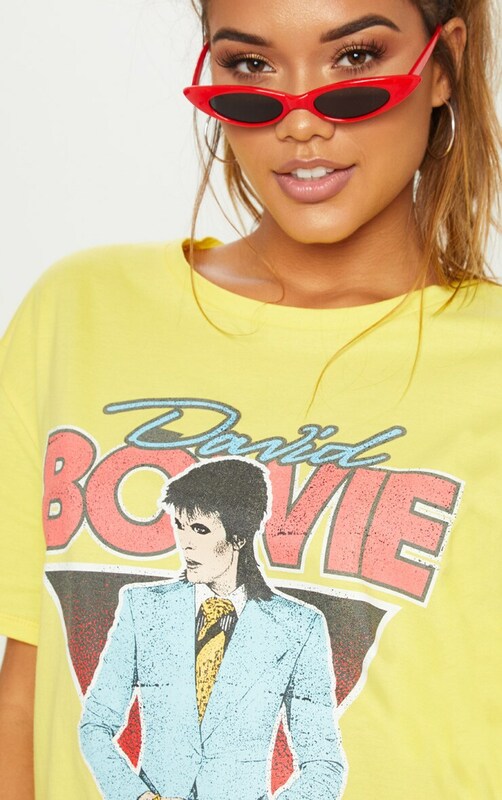 Style with mustard chunky boots and retro glasses for a cute look we're loving.